Malaysia is said to be a food heaven, with a range of flavoursome food coming from different cultures and traditions. Malacca, a small town in Peninsular Malaysia, is one of the mini food heavens in Malaysia. It offers a variety of food that’s rich in flavours and its history as well. Here are the 5 best restaurants in Malacca that you must try in order for your Malacca trip to be complete. 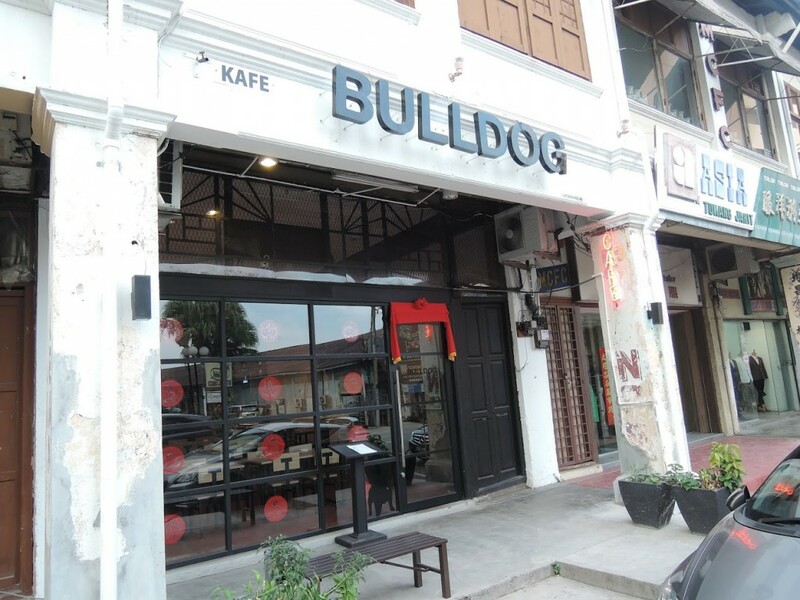 Bulldog Café is one of the newer restaurants serving Nyonya food in Malacca. Situated away from famous tourist attractions such as Jonker Walk and A’Famosa, customers can dine peacefully in this less crowded location. Bulldog Café may be serving traditional Peranakan cuisine, but it’s cooked with the family recipe, adding a hint of difference to the Nyonya dishes. One of their popular food items is the Nyonya Laksa – your choice of noodles bathed in a bowl of orangey-red broth, served with their homemade chilli paste. With flavours enhanced by other ingredients such as prawns, tofu puff and bean sprouts, this bowl of spicy, creamy Laksa is definitely worth trying. There are many other items at Bulldog that have received positive feedback from its patrons, namely the fried fish with chilli, Ayam Pongteh, Ayam Limau Purut and Cendol. For dessert, you should definitely get their Cendol because it just tastes so good! The finely shaved ice is accompanied by palm sugar that’s not too sweet, yet amazingly fragrant. It’s the perfect ending to a nice and spicy dinner. Bulldog Café is also notable for their friendly staff and professional service, which just improves the whole dining experience. Live band performances are also available at night in this newly-renovated, modern-looking space. It’s definitely a great place for one, two or even a group of people to dine in. Address: 145, Jalan Bendahara, 75100 Melaka. Chicken rice, a common dish found almost everywhere in Malaysia, is one of the signature Malaccan dishes that you ought to try when you’re there. A feature that sets the Malaccan chicken rice apart from the others is the rice. Instead of a plate of rice, you get rice balls – rice rolled into ball shapes. Hoe Kee Chicken Rice offers authentic Hainanese chicken rice, serving steamed chicken to go with your rice. Hoe Kee serves its chicken fresh, moist and juicy. Its cream-coloured skin glosses because of the oil and sauce that’s drizzled on top. The white chicken meat under the skin is tender, and it goes well with the fragrant rice. The ping-pong-sized rice balls are actually cooked with chicken broth, garlic and ginger, which explains its delicious taste and pleasant smell. The flavour of the chicken, when combined with a ball of rice, is the perfect flavour that you want to taste. For some people, the flavour becomes even better when eaten with the homemade chilli condiment. “Good things are worth the wait.” It sure applies to customers of Hoe Kee Chicken Rice. This place can be very crowded on the weekends, and you’d have to queue some time during peak hours. Coming early in the morning once they’re opened is one way to avoid the long queue and disappointments. This is because Hoe Kee closes once they finish selling the day’s food. Address: 468, Jalan Hang Jebat, 75200 Melaka. Situated in a quieter zone and away from the crowd, Wild Coriander offers a calm space for its patrons to dine in. In addition to that, it’s located next to the Malacca River, providing a great view for those who choose to sit outdoors. 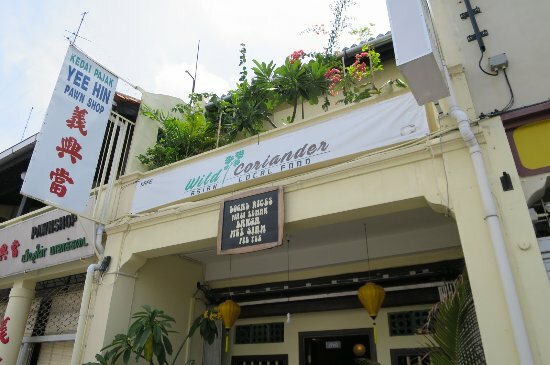 The Wild Coriander Restaurant serves a fusion of Malay and Peranakan cuisine, and they are halal, so Muslims are welcome to dine here. Some of their Peranakan dishes that they offer are Curry Laksa, Prawn Pineapple, Nyonya Achar, Chap Chai etc. On the other hand, they serve Malay food such as Rendang, Nasi Lemak, Mee Siam and more. Their most popular item – the Wild Coriander Special, is a plate of beautifully presented dish with an abundance of flavours. Served on a big plate, this platter consists of 4 types of rice, Achar, Sambal, beef or chicken Rendang, hard-boiled egg and some vegetables as sides. The rice comes in 4 different colours: white, cream, yellow and blue, and they are made with natural ingredients that provide a different fragrance to each of them. When eaten with the Rendang and Sambal, the combination is so good that it’s hard to describe in words. Besides its main courses, the desserts that Wild Coriander makes are delightful. The Kuih Ketayap with ice cream is a popular choice for its patrons. The green Kuih Ketayap has a very appetising appearance, with palm sugar and coconut fillings wrapped inside of it, and a big scoop of vanilla ice cream at the side. You can get a satisfying 3-course meal, right in the Wild Coriander. Address: 40, Jalan Kampung Pantai, 75200 Melaka. Aunty Lee’s Restaurant opened in 1997, and its location remains the same at present. Tucked away from the busiest parts of town, Aunty Lee serves authentic Peranakan cuisine to its customers who are locals and non-locals. 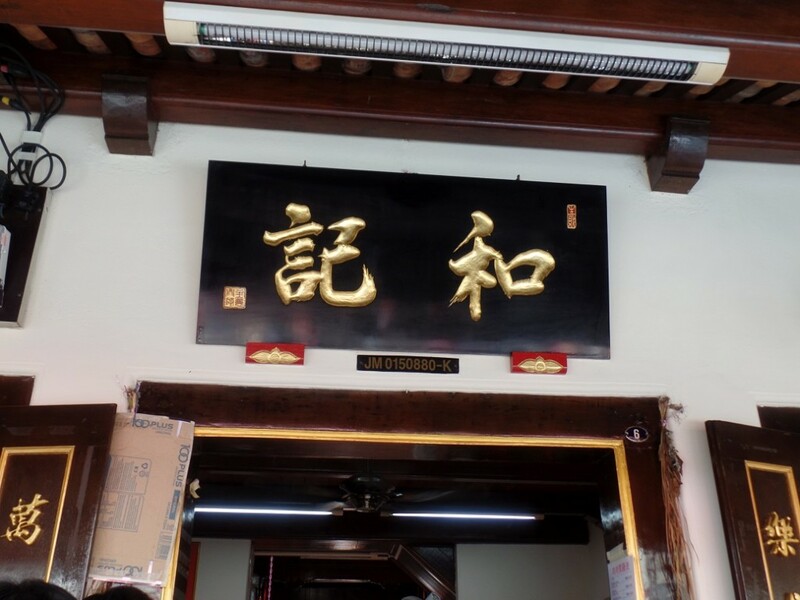 However, the restaurant was taken over by Chef Anthony in 2014, who cooks as well as Aunty Lee did. From starters to desserts, Aunty Lee’s offers an adequate list of traditional Nyonya dish, just enough to satisfy its existing and new customers. As a starter, the Pie Tee would be a great dish for sharing. Pie Tee, when assembled, is a thin, top hat-shaped cone filled with jicama, bean sprouts, omelette and cucumber strips. The chef nails this dish with a crust that’s crispy yet not oily, and juicy jicama that has a taste of its natural sweetness. Topped with their homemade chilli condiment, this Pie Tee is the perfect starter for groups. One of the main dishes that are commonly ordered at Aunty Lee’s is the Ikan Cili Garam (salted chilli fish). The fish is fried until the skin is golden brown and crispy, with a spread of pounded and mixed chilli paste that’s spicy yet fragrant. Aunty Lee’s Ayam Limau Purut is also a popular dish. It is a little similar to local curry, but adding the kaffir lime leaves, tamarind and lime gives it a hint of sourness, making it tasty and unique to its counterparts. Located on the quieter part of Jalan Hang Jebat, Daily Fix Café’s existence is only known because of a passer-by’s curiosity, word-of-mouth or social media. Its small and humble sign is written on a chalkboard, and it sits on a traditional TV set outside a souvenir store. As down-to-earth as this café sounds, the food that they serve is so much more than that. Daily Fix Café offers a range of signature pancakes, all made to perfection in their fluffiness. Their popular banana pancakes are topped with fresh banana slices and served with maple syrup. Pour it over the bananas and pancakes, and each bite of fluffy pancake, soft banana and sweet syrup will take over your taste buds. Another favourite – the Pandan pancakes, come in a light green colour of Pandan leaves, with palm sugar syrup at the side to drizzle. When you combine the Pandan and palm sugar, their fragrances complement each other, forming great flavour and aroma. In addition to that, Daily Fix serves very delicious smoked duck dishes as well, mainly the smoked duck salad and the smoked duck aglio olio. The aglio olio is made with the right amount of garlic and olive oil, paired perfectly with the tender duck meat. A wide range of drinks are served here as well, from coffee and chocolate to fresh juices and smoothies. 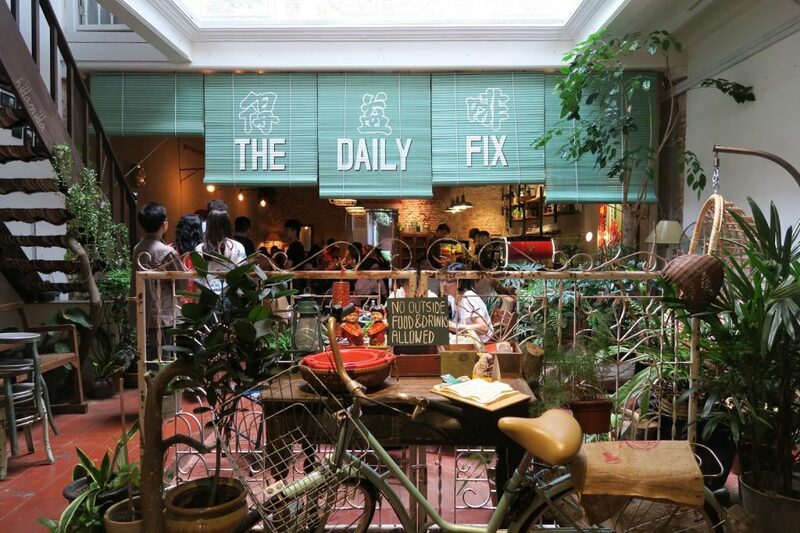 Daily Fix Café is an ideal place for a stop when you’re travelling around this area. Address: 55, Jalan Hang Jebat (Jonker street), 75200, Melaka. No matter where you go in Malaysia, it’s always a must to try out the local food that you find! These are the 5 best restaurants in Malacca that we recommend, so do check them out if you can!